​BREWER: ​How do you feel your job has had to adapt in the beer market compared to a few years ago? 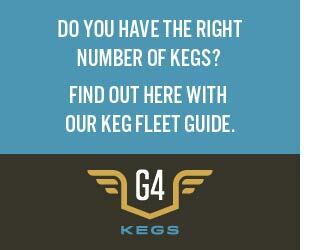 ​KAMOLZ: ​If someone knows what is going to happen next in the brewing industry, please let me know. I used to have the mindset that we can just make what we want, do it well, and beer drinkers will pay for it. 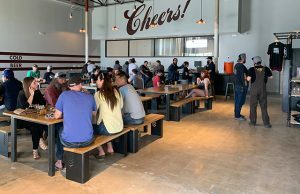 With the quantity and saturation of breweries in the U.S., the consumer has a lot of choice, this requires not only high quality execution by the brewer, but also maintaining the flexibility to pivot to changing trends. I believe this extends to marketing as well as having a platform to receive consumer feedback. We utilize a few avenues for direct consumer feedback that allow us to guide our innovation and experimentation towards something that people want to spend their hard-earned money on. KAMOLZ:​ ​There are numerous people I am inspired by in the industry, but in my career I believe my mentors have been my coworkers. 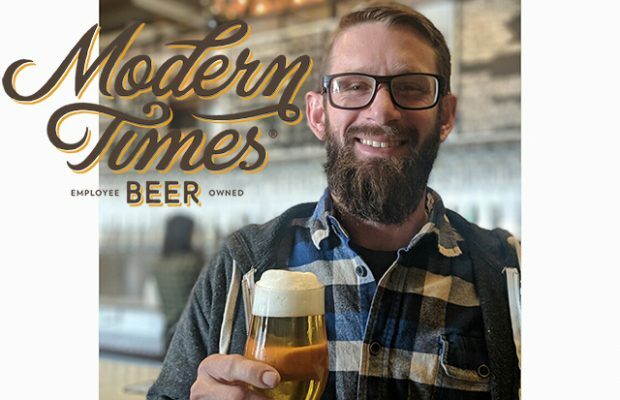 Modern Times is a unique brewery that produces unique beers, and with that come challenges that are specific to our operation. I am very fortunate to be in the position I’m in, with Modern Times being my first job in the brewing industry. 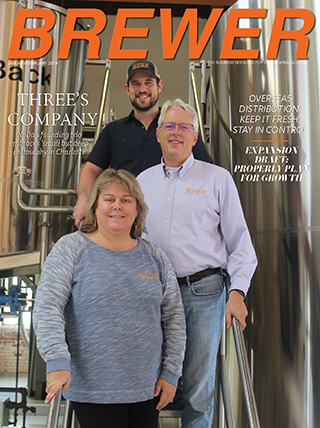 With our forward-thinking company and beer philosophy, we continue to attract some extremely talented individuals with various levels of experience from other breweries. This diversity allows us to be constantly learning from each other in all areas of production, from product and process refinement to managing our continued growth. 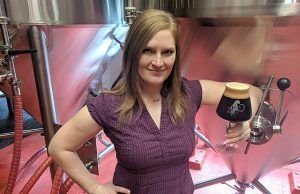 ​BREWER: ​Can you share a success story that you are proud of in your job or maybe a story of how you learned from a situation that has altered your thoughts on how you do your job now? KAMOLZ: ​Company growth is an easy thing to point to when evaluating success, and we have experienced our fair share. I am most proud of how we have managed to elevate the quality and consistency of our product while growing at such an aggressive pace. I have learned that the execution of that starts with our people. We are a very manual operation for what we are accomplishing. The people we’ve hired, our training and education programs, and the passion displayed by every employee allows us to produce more beer, and — more importantly — continually better beer. 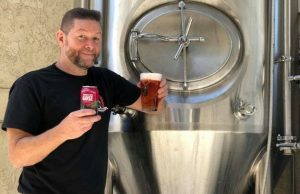 ​BREWER: ​Can you touch on something your brewery has added lately that’s unique or making your business more successful (it could be equipment, technology or people)? KAMOLZ: ​We’ve always focused our resources on the quality of our product. We are attempting to strike a balance of retail vs. wholesale outside of the industry norm for a brewery our size. 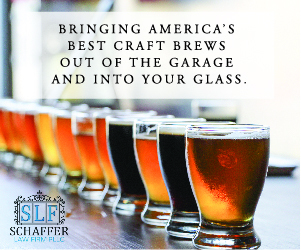 The diversity of our model requires that we tackle some of the big brewer problems like stability and shelf life while continuing to be innovative in the products we release. We have invested more money in our package quality than almost anywhere else in our operation, most recently with an automated keg racking line. This piece of equipment compliments our canning line to ensure high-quality consistent packaging and effectively elevates the quality of every ounce of product that leaves our brewery. KAMOLZ:​ ​This is a broad proposition, but general business/financial education. The beverage industry is constantly changing, and due to its ‘luxury spending’ nature there will always be evolving competition for the customer’s dollar. Like any industry, brewery success and sustainability doesn’t come solely from a great idea or execution, but also good business practice and constant observation of what is going around us in the industry.